When you’ve just started your business, you’re doing it all: sales, marketing, follow-ups, execution. 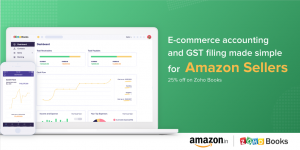 Zoho CRM is just like you – it can do it all. How? 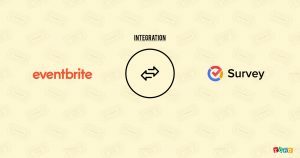 With some key integrations. 1. Mail: When you’re running a business, you save time if you have one place where you can have your contacts and from where you can send and receive emails. Zoho CRM allows you to have your inbox right within your CRM. You can easily view emails, reply and using Mail Magnet, capture emails from contacts and leads stored in your CRM. All without opening another tab. 2. Visitor Tracking: This feature allows you to turn website visitors into leads. It gives you complete visibility into the online activities of your prospects and customers such as the pages navigated, the duration of each website visit and the actions performed on each page. With the customized CRM View in Zoho CRM, you can prioritize your website visitors and plan your conversations before contacting them. 3. Email Campaigns: Email Marketing is one of the most effective means of communication that helps lead nurturing and qualification. It’s ideal to have your email marketing software work in complete harmony with your CRM. It not only saves you time by working from within your CRM to create targeted email lists, design the email and send, it saves you the trouble of maintaining two sets of customer data. With a good integration, you should be able to even track how your campaigns performed, without opening a new tab. 4. Project Management: Your sales rep has closed the deal. Great! But your development team is lagging behind. This won’t help you close the second deal with that customer. 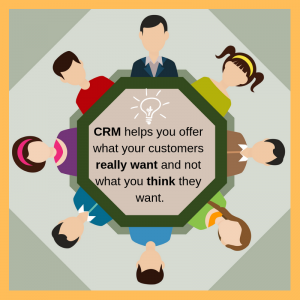 A holistic CRM allows you to follow up with a customer from lead generation to execution. That’s where an integration with a project management app comes in. Zoho Projects integrates seamlessly with Zoho CRM so that every team is up-to-date on the progress during a customer’s life-cycle. It allows you to plan and execute projects within your CRM software. This will help us realize just how helpful Zoho CRM is for every small business.